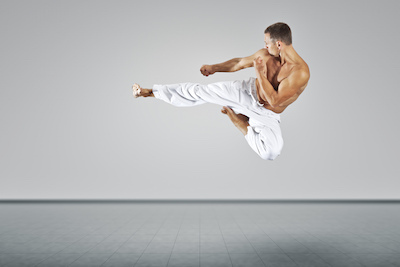 Have you ever wanted to study martial arts? One of the great things about travel is that you don’t have to settle for a “McDojo” in your local shopping mall. You can take a journey to the best place in the world to study your fighting style. There was an article in CNNGO titled, Asia’s martial arts capital is . . . Singapore? When I lived in Taiwan, I met a group of guys who all studied with the same baguazhang master, Luo Dexiu. The students told me that for Chinese martial arts, it was actually better to go to Taiwan and Hong Kong, rather than China. In some cases, masters would settle in the United States and Europe because those were the bigger markets. I would be curious to hear from our readers if this migration has happened with other martial arts experts? One thing I noticed is that you often don’t study with the master himself. A senior student will lead the lessons. Meanwhile, the master will walk around the students as they perform drills; he’ll make inspections and corrections. When I worked in China, I rarely met Chinese practitioners of martial arts. Most students were foreigners who had traveled in to study. This might be because I lived in Shanghai. Big-city types tend not to study kung fu as much as people in the countryside, a longtime expat explained. I did meet one Chinese guy who studied xingyiquan because his father was a master. I asked him what fighting style was fast to learn and effective in real street fights. His prompt answer: “American boxing!” Although he said that in sparring matches against fighters with different styles, he thought that Thai kickboxers were the toughest to beat. One of my British friends was a serious student of praying mantis kung fu. He had a similar comment, saying that in his sparring matches, Thai kickboxers were the best-conditioned. On a different tack, he played down the choice of style and stressed the importance of regular training. He said something like he’d bet on a serious boxer over a lazy kung fu student any day.